Microsoft seems to have looked closely at Apple’s revenue model when it decided to build stores into its core products Windows and Office. Apple is not the only company that is profiting from its own store where users can purchase apps, music and other items for their hardware devices and systems. When you look at the gaming sector, you will notice that free to play models with built-in stores seem to do phenomenally well. We already know about Windows Store, as it was announced last year. Developers basically can submit their applications for inclusion in the store after they have paid a one-time fee to become a registered developer. Microsoft earns 30% of the first 25,000 Dollars of app revenue, and 20% after this with monetization models including in-app purchases or advertising next to direct purchases in the store. And now the Office Store. The concept itself is identical to the Windows Store concept. Add a store to the latest product of Office, that is Office 2013, to provide developers with opportunities to make available their applications, and users with a central location to find and install Office apps and add-ins. And Microsoft? Earns 20% from all net proceedings on every transaction, leaving 80% for the developer. 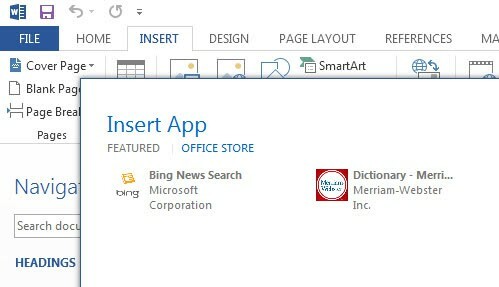 In Office, click on the Insert tab, and there on Apps for Office > See All. So what kind of apps can you get right away for Office? For Outlook, you find contact related applications like LinkedIn or Twitter apps, or a car rental app from Hertz. 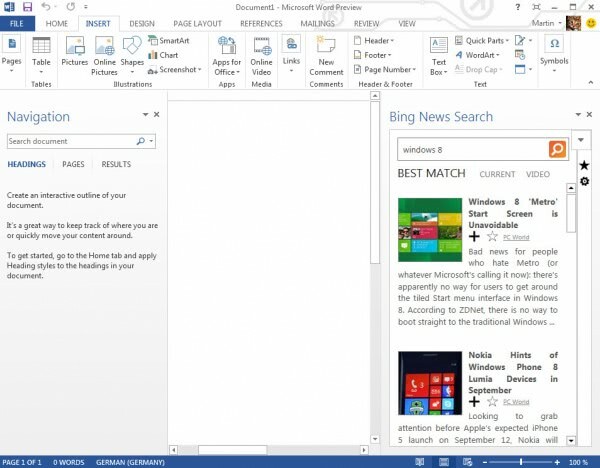 For Word and Excel, you get templates and forms, Bing Maps and Search that are then displayed in a sidebar in Office. 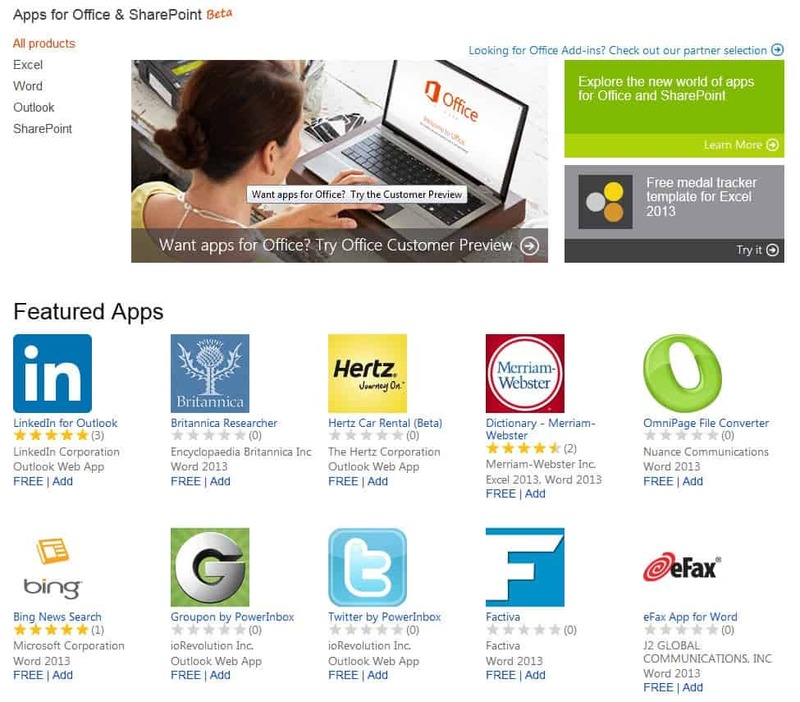 I do not think it is ideal to redirect the user to the Office Store website whenever apps are selected in Office. Direct store access would certainly be a better comfortable option here. The core benefit of the store for Office users is that there is now a central location for apps that can be installed in Office, something that was not really there previously. What’s your take on Microsoft’s built-in store strategy? I do think that it will add to the company’s yearly revenue over time when users start to buy apps, make in-app purchases or look at ads that are displayed in the apps. You find Microsoft’s Office Store announcement here.